The Chessdom team has just arrived in Spain, where we will be preparing for coverage of the Linares 2008 chess tournament. While being here we hope to visit some other chess events and bring you interesting news and chess videos from the region. Today, IA Mikel Larreategi (FIDE Code: 2296047), informed us on a nice event that will take place March 16-23 in Spain, San Sebastian. 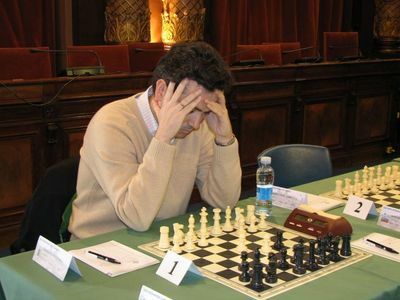 It is the XXXI Open Ajedrez Internacional “Ciudad de San Sebastian”. The tournament will be a 9 rounds swiss system. As usual, the venue is the beautiful townhall of San Senastian where games will be played daily at 17:00. Last year’s edition was a fantastic event with a 5 way tie on top. IM Jakub Czakon, IM Zbigniew Pakleza, GM Kevin Spraggett, IM Marijan Petrov, and GM Vera Gonzalez-Quevedo shared the first place. A total of 120+ players, of which 20+ titled, participated in the competition.